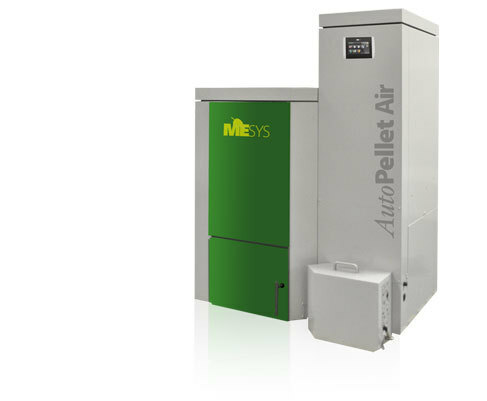 Maine Energy Systems (MESys) recently announced the North American release of the MESys AutoPellet Air, a modulating fully-automatic wood pellet hot air furnace. The units are being built in Bethel, Maine, by MESys and were collaboratively designed and developed with European pellet pioneer, OkoFEN. The AutoPellet Air has a rated maximum output of approximately 100,000 Btu and has recently qualified for an Efficiency Maine rebate worth up to $5,000 for most Maine residents. The units advanced design is similar to the existing MESys AutoPellet boiler, which is commonly used for baseboard or radiant floor heating, and only requires the simple task of emptying of an ash container two to four times annually. The company also delivers locally-sourced wood pellet fuel throughout much of the Northeast in bulk, by a delivery truck, much like how oil or propane are delivered.